Arrival airport shows departure runway? has this been reported yet? On every flight when approaching the arrival airport, the four letter airport code is shown together with the departure runway, at least when no arrival runway has been programmed yet. As you can see on the screenshot, while approaching Frankfurt EDDF, it shows the runway I departed at Naples aiport LIRN, runway 24. Frankfurt doesn't have a runway 24. What is this? Edit: When entering the arrival runway, the issue is getting corrected/overwritten. It happens only with no arrival runway programmed. I have never seen this problem in over 80 flights, and it's never been reported. I believe the flight plan is what is suspect here. Are you using any tool to generate the flight plan or are you entering it manually? If you're using a tool, you should be able to upload the generated flightplan file here for us to take a look at. Mhm, I'm pretty sure I didn't do anything wrong here, but I will have a look if the way I enter the flightplan is correct. It always worked like this with the old Bus and I've never seen something like this. Flightplan has been entered manually, I'm not using any tools. The flight plans must have been all wrong and I highly doubt that. They are from the IVAO route database and should be ok.
Well, see if you can duplicate this. I enter flight plans manually all the time and I've never had an issue, but I'm not saying there isn't one. Which NavData were you using? You must always program an arrival runway (approach) when still on the ground during preflight. Not doing so will cause bugs like the one you are seeing. In typical AS fashion we could say it is non SOP what you did on that flight. As an RW Bus pilot I would say the same. okay, thank you for your information. So it was obviously my fault. Didn't know the arrival runway is being programmed already before departure as I simply don't know on which runway I'm going to land before departure. 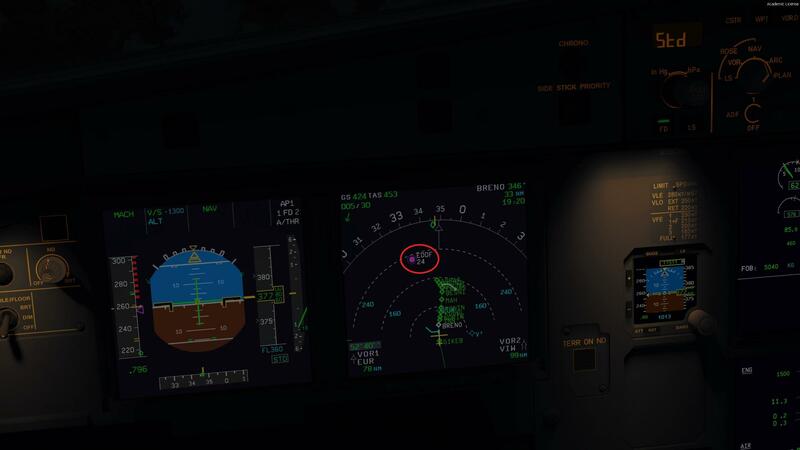 I assume the behaviour will be correct then, because the correct runway is shown once entering the arrival runway. So you can close this topic. Thanks. It wasn’t your fault per se. It is a bug after all. You always program the arrival/approach you expect or the one that is listed in the flightplan. This way you have a “closed” routing which can be used for TOD calculations and for checking the total milage compared with the flightplan for example. We will put the bug in our tracking system.